PLEASE CALL FOR PRICES !!! 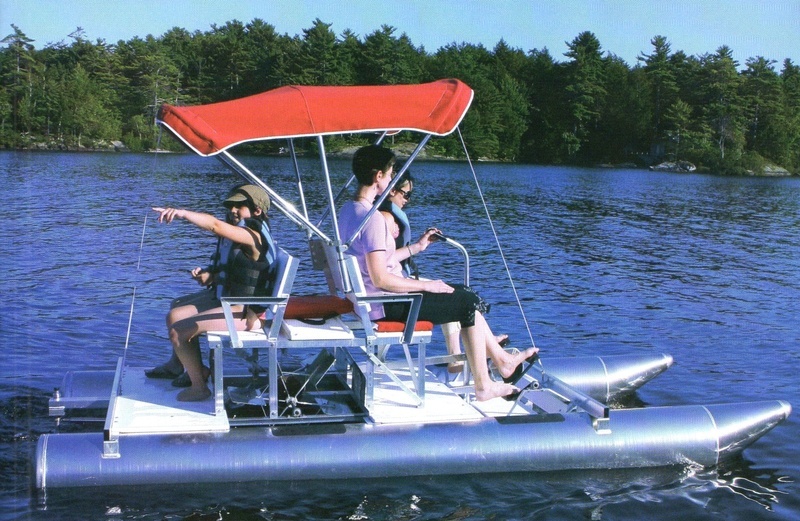 Aqua Cycle Plus is a great way to enjoy the water. Rear deck and walkway provide for a roomy plateform for fishing. 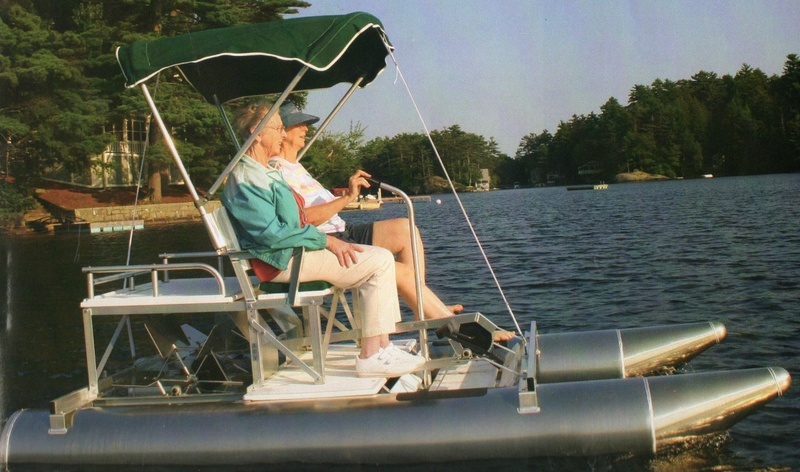 Add a fishing table and rod holders to make this a complete package or you have a perfect paddle boat for two with a swim ladder, and a big rear deck for the family pet, cooler or whatever you decide to take along. This is the ultimate paddle boat. Everyone can get in on the fun, with four pedaling stations. The rear storage deck is a great place for picnic supplies or family pet. Two forward facing adjustable seats make for a great ride and pedaling. This Aqua Cycle 15 has a staggered crankshaft that allows one person in the middle of the adjustable seat to pedal or for two people side by side. A rear deck with a rail provides plenty of space for any supplies you take along on your water adventures. 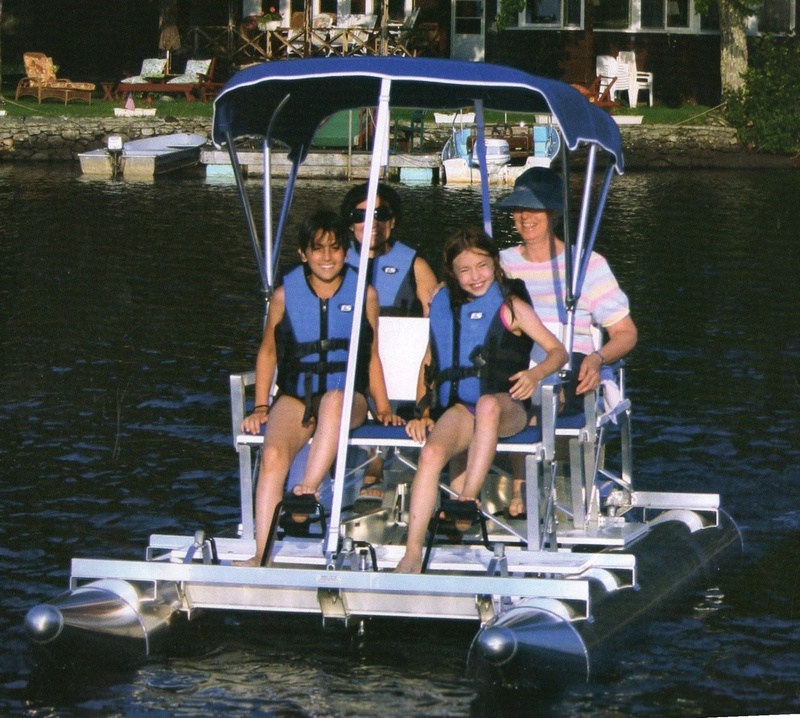 All Aqua Cycles provide many years of family fun.